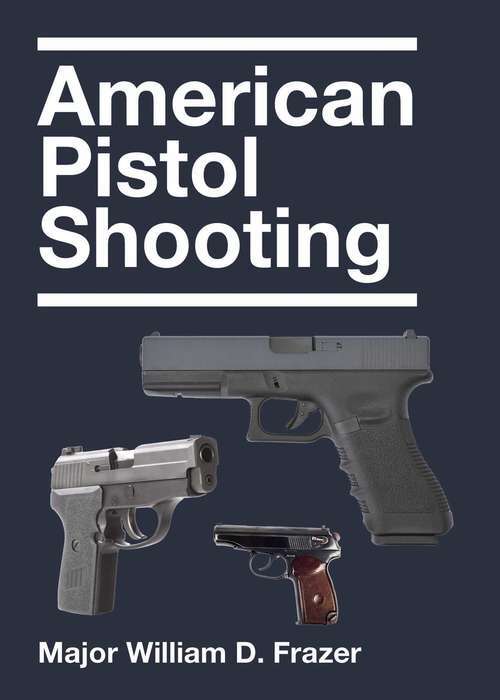 The ultimate book for the gun enthusiast and the historian alike, American Pistol Shooting is a textbook of old-world techniques for successful shooting. The author Major William D. Frazer was an incredibly accomplished marksman in his day, earning the US Army's Distinguished Marksman badge in 1922. Almost entirely self taught, Frazer knew that the world needed a comprehensive book on pistol shooting technique, and he was the man to write that book. Brilliantly detailed with sections on caring for your pistols, trigger control, defensive shooting and quick drawing, and even shooting psychology, there is something here for everyone.First published in the early 1900s, almost all of American Pistol Shooting is still relevant today, even despite the massive technological changes that have swept across the face of the gun industry. The techniques described will help anyone up their game and zero in on their aim. Whether practicing alone in the backyard or practicing at the shooting range, Major William D. Frazer's book is a must have for anyone interested in the sport of shooting and the history of the gun.